Haskins Automotive Tires for Sale. 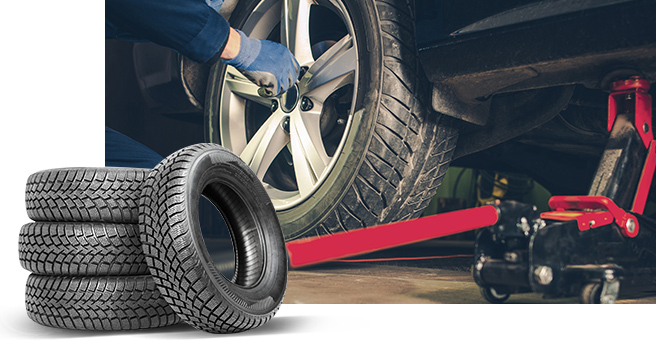 We assist you with selecting the right tires for your vehicle. Keeping your tires balanced, aligned and in good working condition is one of the most important things a driver can do to keep his or her car safe on the road! Haskins Automotive is proud to be an authorized dealer for Michelin, Continental, General, and BFGoodrich branded all-season, summer and winter tires. In addition to these brands we offer many other tire brands to fit any size vehicle or budget. Like many other big box stores and franchises we are able to offer a nationwide tire protection plan to keep your investment of tires protected under any circumstances. We also offer all the latest technology in alignment, road force wheel balancing and low-profile tires. Check out our specials page for our latest tire promotions above and beyond our already competitive tire pricing! We look forward to the opportunity of keeping your family safe on the roads of New England and beyond!